The Chippewa Valley Free Clinic is located at 1030 Oak Ridge Drive in Eau Claire, WI. For Clinic health care hours, please see Services and Hours. 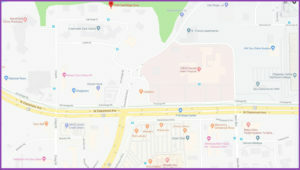 Due to the convenient proximity to multiple health care facilities, pharmacies, and the University of Wisconsin-Eau Claire upper campus, there are several bus routes that service the West Clairemont and Craig Road area. The West Clairemont Route 7 Bus is the most direct route to the Clinic. Learn more about Eau Claire Transit bus stops and schedule times. You may also choose to download the DoubleMap GPS Android App or the iPhone App and view live updated bus information overlayed on a Google map.